Here's what we're not going to do: we're not going to spend time debating the difference between "coloured people" and "people of colour". I was going to ignore it. Now. I didn’t even break stride over this a few days ago, but I have been a bit taken aback and the explosion of posts – overwhelmingly by White authors – in the media since. We’ve had the “What’s the big deal?” articles, the well-meaning liberal whitesplaining articles “It’s not a nice word, guys. This is why the Blacks are irritated” and the obligatory “PC gone mad” brigade. That’s all good and well, but it reinforced the image of the absurd lack of diversity in the commentariat that is so beautifully illustrated in the Evening Standard’s election line-up (previous post). That’s the real problem, not Cumberbatch’s clumsiness or lack of racial sensitivity. Every morning I wake up to the radio – either World Service or Radio 4. There’s something about the intimacy of radio that I find so much more affecting than TV, which seems more passive, somehow. The children, as young as ten, were being released because of a deal struck between the militant group and the government. What was so arresting was the reporter’s description of the happy children going over to be received by UNICEF, still dressed in their fatigues. They sang, they danced. The reporter marvelled at how young they were…and how much younger they looked. It was a beautiful story of children getting another chance to be kids, to start their lives over. I cannot begin to fathom what they’ve seen and been forced to do. A couple of days ago I read a blog by barrister Colin Yeo about how the good character requirement is being used to refuse citizenship to hundreds of children, including 25 children aged 10-13. All of these kids has their own story. Who knows what they’ve experienced? What can we say about their character at such a young age? And how can it count against them in a decision that will affect the rest of their lives? 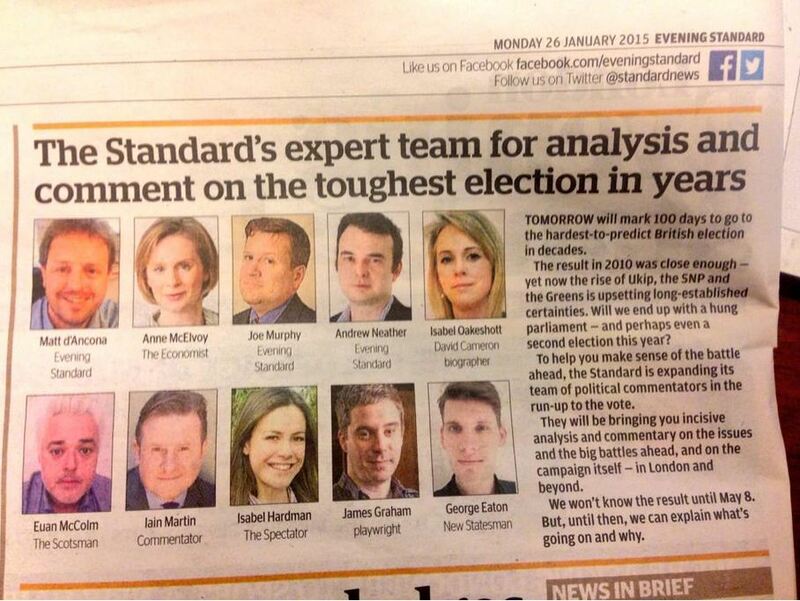 This is the Evening Standard’s election coverage team. Congratulations to them all, I’m sure they’re all good at what they do and it’s great that we have three women on the panel – but where are the ethnic minorities? This is London’s paper and the line-up looks nothing like the city. How can you provide comprehensive election coverage with these voices missing? If ever an election required a little less groupthink from the media, this was the one. So, the far left in Greece (nice change to type those words) has won the election and has formed an alliance with the far right to renegotiate the country’s austerity package. Hmm. They may well succeed at that but I don’t know how the coalition will be able to agree on anything else. The Sun has put bikinis on Page 3 rather than bare breasts, and in the process provoked a flurry of feminist articles. For every article celebrating the victory, there’s another saying it’s not that big a deal, and there some pieces by women saying it’s anti-feminist to deny them the choice of posing in the Sun because it’s not objectification…and there are others saying those women aren’t quite aware of their subjugation. Hypothesis: maybe what's wrong with feminism is that it's easier to get an article published on what's wrong with feminism than on feminism. My take is that it matters. It’s a modest victory and that’s ok. Representation matters. To say that this does have significance, albeit largely symbolic, is not to say that it’s the most important campaign or that those who support it only care about this one thing. And even if they do, there are so many other important campaigns on issues like FGM, for example, for people to get stuck into. Equal pay. Violence against women. Refugee women in detention. So many other things, and they all matter, like lots of cracks in a wall. Sometimes we’ll take out some huge bricks and other times we’ll put cracks in it. There is merit in the point that some of the less well-known and more difficult campaigns are often the most grave. We’ll keep working. But it does all matter. 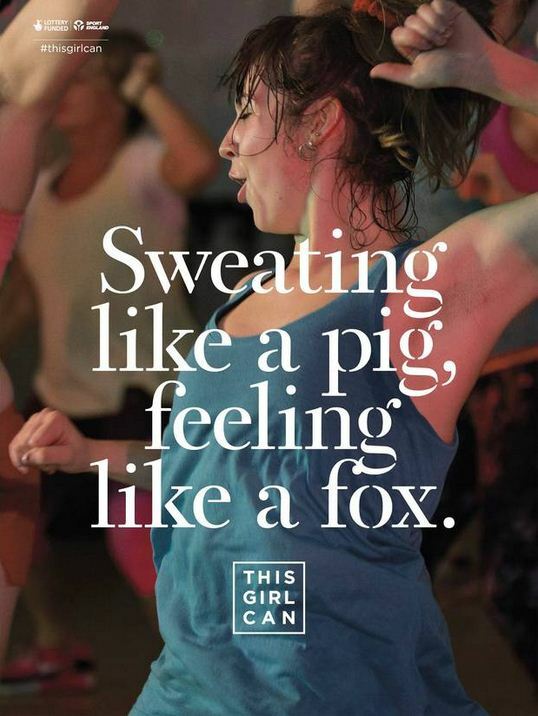 So well done, No More Page 3. Next! Pop Quiz: Which group of people do we reserve indefinite detention for in the UK? Think about it. Your life is suspended and you have no idea when you will again be free. It’s a cruel irony that many of those detained here like criminals are actually people fleeing persecution. Yesterday, the charity Women for Refugee Women, which has repeatedly flagged the mistreatment of female asylum-seekers detained at Yarl’s Wood, released a new report, I Am Human, detailing the abuse suffered by a number of women at the hands of male guards at the centre. Often these women are already victims of sexual abuse. Unsurprisingly, a number of the women interviewed were on suicide watch at some point during their time at Yarl’s Wood. Serco, which has the contract to run the centre, had its contract renewed for another eight years despite multiple allegations of sexual assaults on detainees by staff. I actually don’t have a pithy ending to this post. I will just point out that while the government is happy to hobnob with Angelina Jolie and talk about violence against women, it refused the UN Special Rapporteur on Violence against Women, Rashida Manjoo, access to Yarl’s Wood to investigate these allegations when she visited last year. I’ve been a fan of Roxane Gray since I read Bad Feminist. She’s thoughtful and honest, unafraid to wade into the grey areas and tease out nuance. “There are times when silence equals consent, but is the loss of someone else’s life really such an instance? Is it reasonable to assume that if je ne suis pas Charlie, I tacitly endorse terrorism? I believe in the freedom of expression, unequivocally – though, as I have written before, I wish more people would understand that freedom of expression is not freedom from consequence. I find some of the work of Charlie Hebdo distasteful, because there is a preponderance of bigotry of all kinds in many of their cartoons’ sentiments. Still, my distaste should not dictate the work the magazine produces or anything else. The cartoonists at Charlie Hebdo – and writers and artists everywhere – should be able to express themselves and challenge authority without being murdered. Murder is not an acceptable consequence for anything. Yet it is also an exercise of freedom of expression to express offense at the way satire like Charlie Hebdo’s characterizes something you hold dear – like your faith, your personhood, your gender, your sexuality, your race or ethnicity. “Life moves quickly but, sometimes, consideration does not. And yet, we insist that people provide an immediate response, or immediate agreement, a universal, immediate me-too –as though we don’t want people to pause at all, to consider what they are weighing in on. We don’t want to complicate our sorrow or outrage when it is easier to experience these emotions in their simplest, purest states.